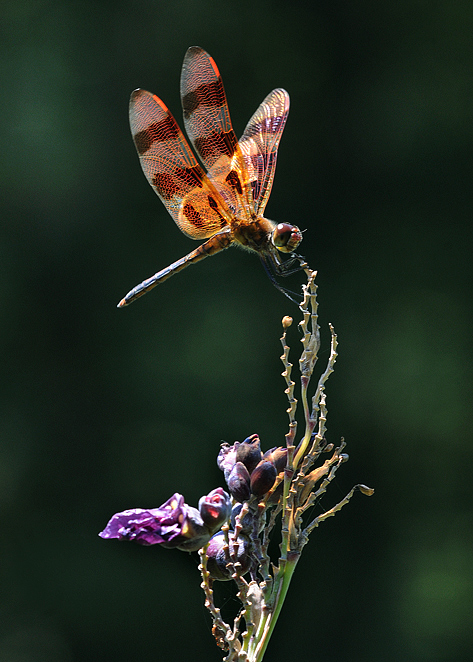 Previously posted in July 2008—photographed at the Kenilworth Aquatic Gardens in Washington, D.C. For more about the Halloween Pennant dragonfly, click here. Read photographer Bill Horn’s tips for photographing them on his Photo Migrations website.© Cindy Dyer. All rights reserved. This morning I came across this image of a butterfly that I photographed at Green Spring Gardens and have just identified it as a Common Buckeye (Junonia coenia), from the family of Brush-footed Butterflies (Nymphalidae). The caterpillar host plants are snapdragon, toadflax, figwort, monkey flower, plantain, tickseed, butterfly bush and water speedwell. Adults prefer nectar from plants such as aster, chickory, tickseed, coreopsis, butterfly bush and peppermint. Adults live for about ten days. 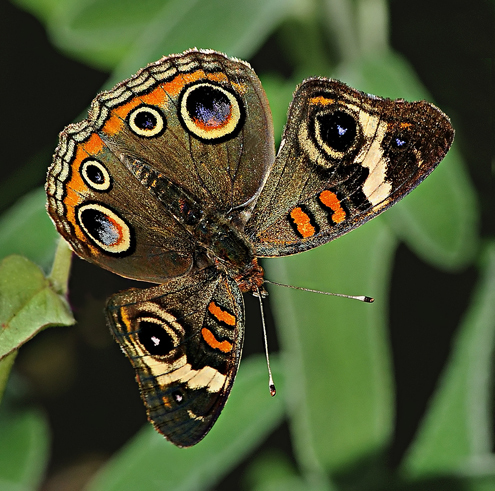 This link here contains photos that chronicle the metamorphosis of the Common Buckeye Butterfly from caterpillar to chrysalis to adult (and includes shots of some unfortunate subjects serving as lunch for other insects!). One photo shows a tattered butterfly and states that such specimens “are able to fly and function normally with up to 2/3 of their wings missing.” I’ve often wondered how they fared with their wings in such bad shape. Then again, when you only live 10 days, you don’t have much time to worry about such things! I was perusing random blogs last night and came across a reference to this site: http://photofunia.com/ so I went to check it out. WOW! From the site: PhotoFunia is an online photo editing tool that gives you a fun filled experience. You upload any photo and just wait to see the magic. Our proprietary technology automatically identifies the face in the photo and let’s you add cool photo effects and create funny face photo montages. PhotoFunia is free and very easy to use. Just select an effect you like from over 100 different effects, upload your photo, and PhotoFunia will handle the rest for you. PhotoFunia was originally developed by two enthusiasts from Odessa, Ukraine and has officially launched on the 11th August 2007. There are 134 effects (some even animated!) to drop your photos into and voila! Instant art. 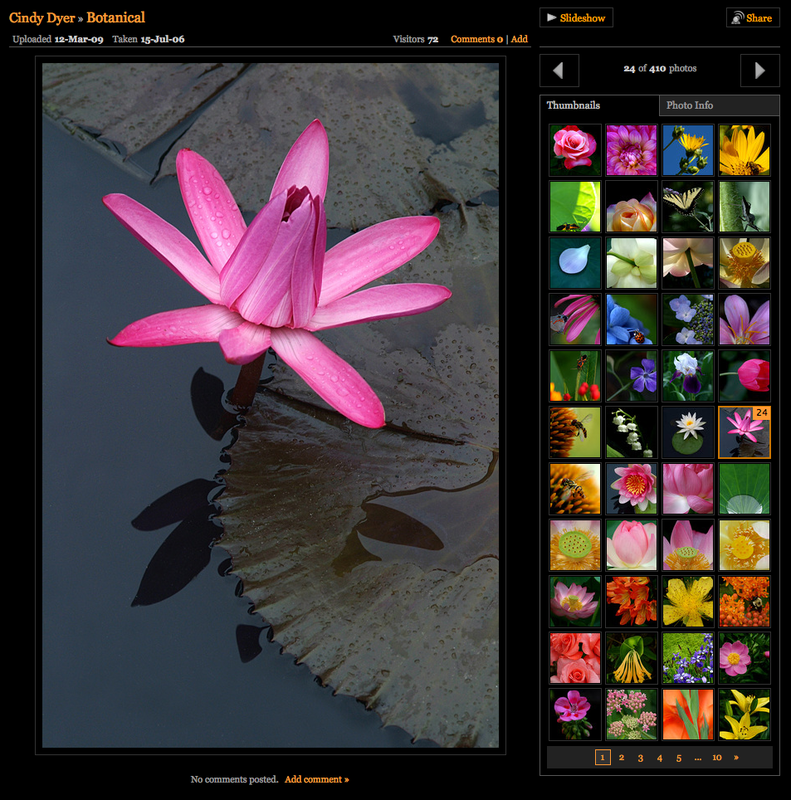 In just a few seconds per image, you have the results, which can be saved as jpgs and printed. Below are just a few I created with my people and flower images. Check it out—way too much fun! And by the way—I wondered where the phrase “more fun than a barrel of monkeys” originated, so of course I did my online research. Check out AskYahoo to learn more! I just added more photos to my zenfolio.com gallery. In the coming weeks I’ll be creating a few new galleries that will showcase travel images, landscapes and portraits. I’ve also been looking into portfolio web sites such as PhotoShelter.com and others to determine what will work best as a website to showcase my photography. In the interim, Zenfolio has been an easy-to-use outlet for my work. Does anyone have any recommendations for ready-made or customizable website services? I’m open to feedback and suggestions. Thanks! Check out my botanical shots on zenfolio on the link below. You can click on each thumbnail to view it larger. There are 10 pages to scroll through, showcasing more than 400 images. New photos to see on my main blog! I just received my online scans from ScanCafe and have begun posting them on my main blog. These are scans of 35mm slides and cover lots of subjects, from travel to portraits. I apologize for not having much garden-related images to share as of late—but ’tis the season when gardening pretty much comes to a halt (unless you include my indoor plants!). Today, it’s rainy and cold here in the Northern Virginia area and I’m playing with my new slide scans! If you’d like to see some images from my travels, click here.